Resurrection Remix Oreo for Redmi NOTE 3 is now available to download via an OFFICIAL version. This RR Oreo for Redmi NOTE 3 (kenzo) is brought to you by developer akhilnarang. 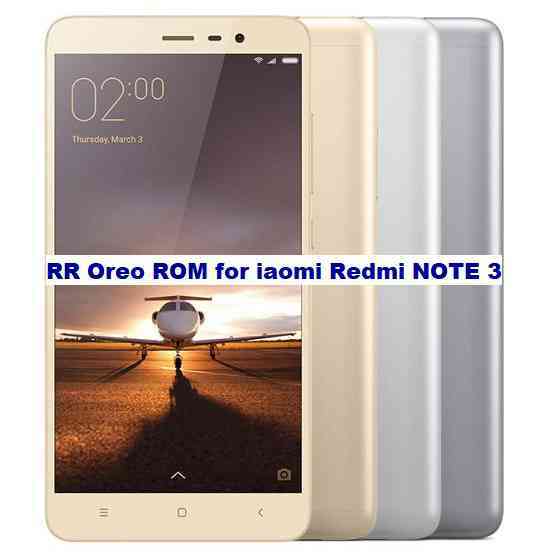 Download the Redmi NOTE 3 Android Oreo ROM zip file from the above download link and copy the files to phone. Flash the Redmi NOTE 3 RR Oreo ROM zip from device. Copy the latest ROM zip file of Resurrection Remix Oreo for Redmi NOTE 3 to your phone. Stay tuned or Subscribe to the Xiaomi Redmi NOTE 3 custom ROMs forum For other Android Oreo ROMs, Android Nougat ROMs, LineageOS ROMs, Resurrection Remix ROM, Omni ROM, AICP ROM, crDroid ROM, and all other device specific topics.